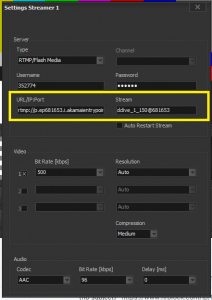 How do I stream Using VidBlasterX? VidBlaster is a paid encoder for Windows only. 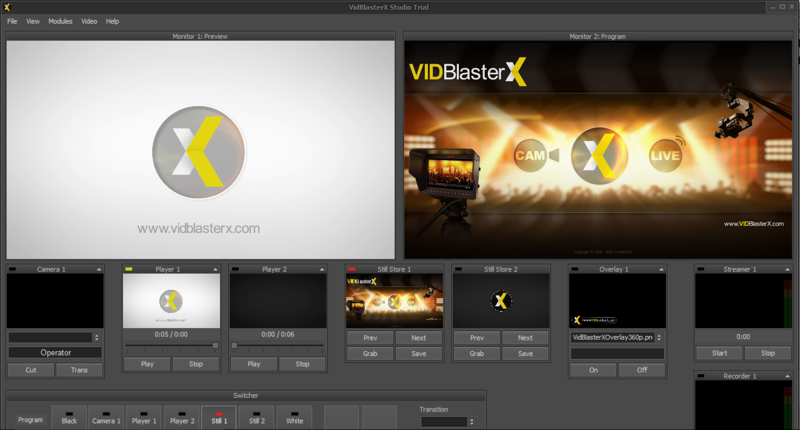 You can download a free version of VidBlasterX Studio version 5 here. 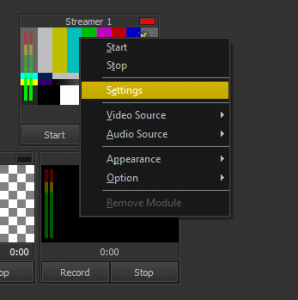 Note that VidBlasterX Broadcast (the high level software version) supports multiple streamer modules, allowing you to setup multiple streams. If you haven’t done so already, you first need to create a live channel. Go all the way through that process, up to the ENCODER SETUP part. Make sure to remember or write down the name of your live channel for future reference. 3. 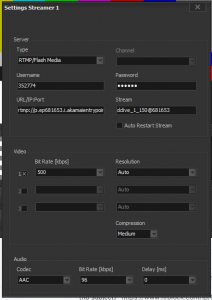 Once there, select RTMP/Flash Media as your SERVER TYPE 4. 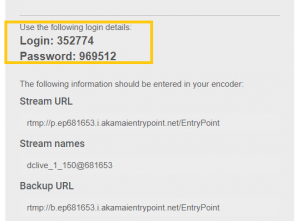 Enter your user name and password *Note:This is the credentials you find in your live channel, under the tab encoder setup – in your DaCast account. 4. 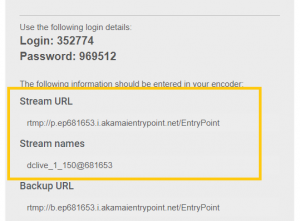 Enter the URL/IP: Port and Stream, that are the stream URL and Stream names your find in your live channel you want to stream from, under the tab encoder setup – in your DaCast account. 5. You can now select the source of your stream from the available options. When you select the source of your stream, make sure it coincides with the source module you already selected. For example: if you choose the CAMERA 1 module as your source, make sure you select CAMERA 1 as well in the source of streamer 1. Once you are satisfied with these settings, you can now click START to begin streaming.To preview your stream, return to your DaCast account and click on Preview. To test your stream in a browser, you can also copy-paste the Facebook or Twitter code in your search bar. Note that it can take up to 50 seconds to come up online.